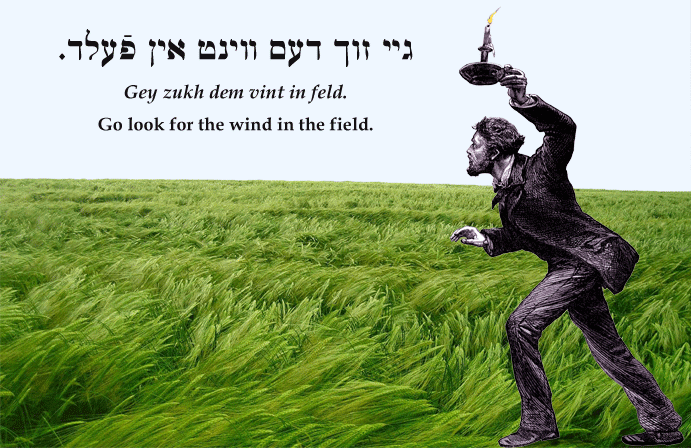 Yiddish Expression: Go look for the wind in the field. גיי זוך דעם ווינט אין פֿעלד. Gey zukh dem vint in feld. Go look for the wind in the field. Get lost! (Don't bother me.) SOURCE: Stutchkoff, Der Oytser fun der Yidisher Shprakh.